X-Plus Ghidorah! Bandai! Blu Rays! It’s a Collector’s Update! – SKREEONK! Jon @ UnCanny here! Hope everyone’s having a nice relaxing Sunday, or what not. Both SDCC and Wonderfest just brought us a ton of toy news, not to mention the surplus of HD Blu Ray releases hitting this fall. I’ve been swamped with new merchandise, so I figured it was time for a new Collector’s Update! Lets get down to it, shall we? We’ll start off strong. Just look at it. My God(zilla). Get your extra kidney all boxed up and ready to ship to the black market because X-Plus is hitting us with the crown jewel we’ve all been waiting for: X-Plus 25cm Vinyl King Ghidorah! This gorgeous piece has literally been a decade in the making, and is slated for release “later this year”. Regardless of price I’ll be pre-ordering one of these bad boys. I guarantee you after their initial release these things will become impossible to find and extremely overpriced. Can’t wait! Photo courtesy of the Ric-Boy Twitter Feed! Different angle thanks to SciFiJapan.com! 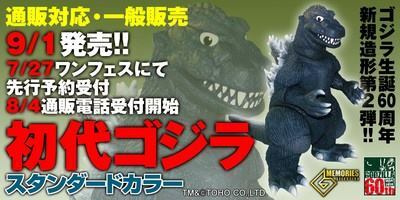 Hazawa Gumi is hitting us with a brand new sculpt for the 60th anniversary, and what better suit to celebrate with than the original Big G. Preorders for this fantastic 6″ Hazawa Gumi Godzilla 1954 are taking place now in Japanese markets. Some American G’14 merchandise for yah! Bandai is releasing this nicely posed and wonderfully sculpted vinyl into the US market this fall. 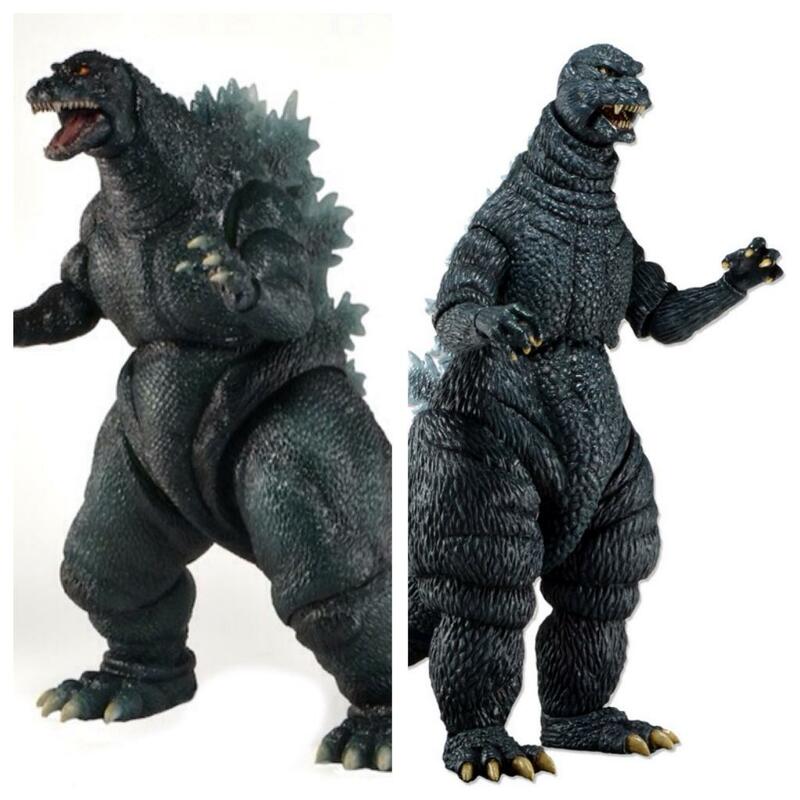 This seems to be the Bandai Creation Godzilla 2014, and will more than likely be in standard 6″ scale. More on this soon! 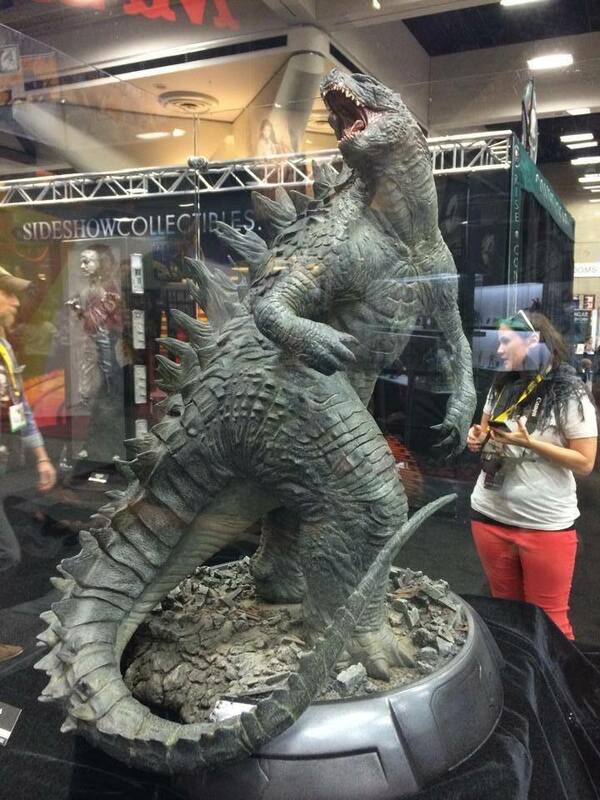 Speaking of G’14, SDCC brought us a big reveal – The Sideshow Legendary Godzilla statue. This thing is a beast, standing over a foot tall – complete with dynamic pose. Still no official word on their release date. Really looking forward to this one! You can order this book directly from your favorite online Japanese hobby site as of July 26th! 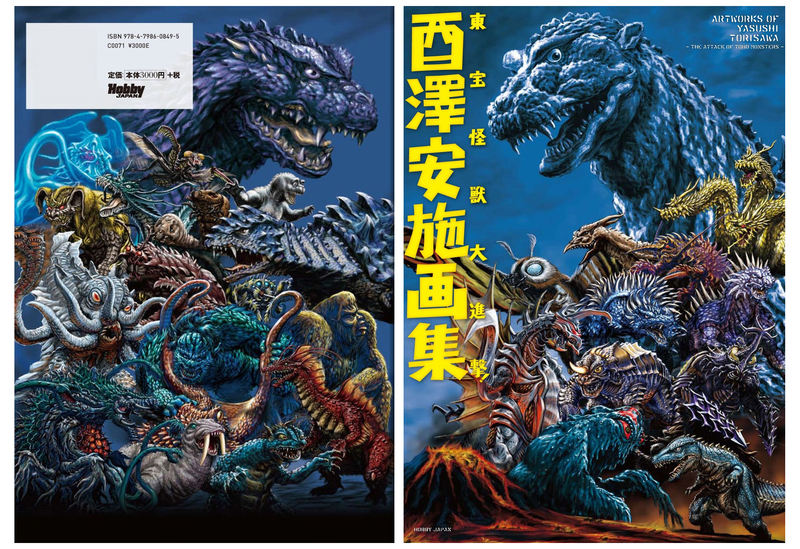 Hobby Japan will release Artworks of Yasushi Torisawa -The Attack of Toho Monsters– (酉澤安施画集 東宝怪獣大進撃!, Torisawa Yasushi Gashuu Toho Kaijuu Daishingeki!) in Japan on July 26th. Born in Aomori Prefecture in 1962, Yasushi Torisawa is a designer for special effects franchises such as the Godzilla, Ultraman, Super Sentai and GARO series. His recent works include GIANT MONSTER RUSH: ULTRA FRONTIER (大怪獣ラッシュ ウルトラフロンティア, Daikaijuu Rasshu Urutorafurontia) and GARO: MAKAI NO HANA (牙狼〈GARO〉-魔戒ノ花-, 2014). Torisawa’s kaiju sketches and full color illustrations are also an ongoing feature of the special effects magazine Uchusen. Artworks of Yasushi Torisawa -The Attack of Toho Monsters- offers a collection of Torisawa’s Toho kaiju cover art and pinups plus a selection of never-before-published works, all printed in high-resolution. No images as of yet, but Hobby Link Japan has two new Bandai Eggs slated for release in October! 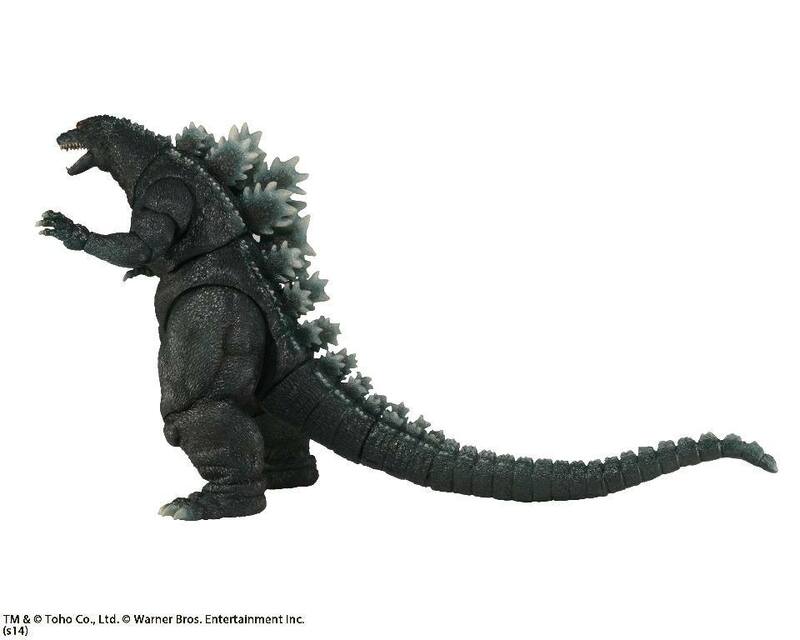 Expect photos of the Bandai Burning Godzilla Egg and Destroyah Egg soon! Both are only 800 yen a piece (less than $10 USD)! 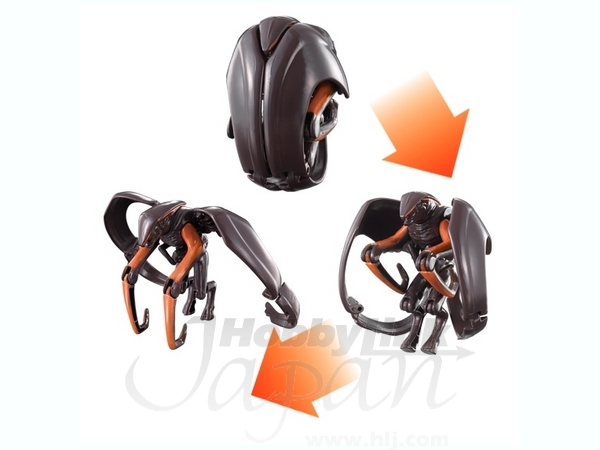 Bandai has also released G’14 and MUTO eggs, for those who missed them! Image courtesy of Hobby Link Japan. This was, without a doubt, the coolest merchandise surprise we got from SDCC! 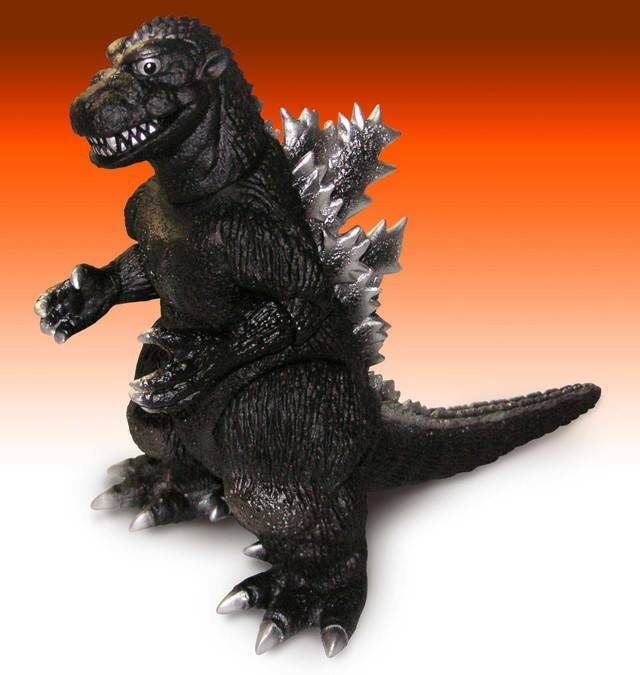 Toynami is producing a brand new Shogun Warriors Godzilla Tribute figure! 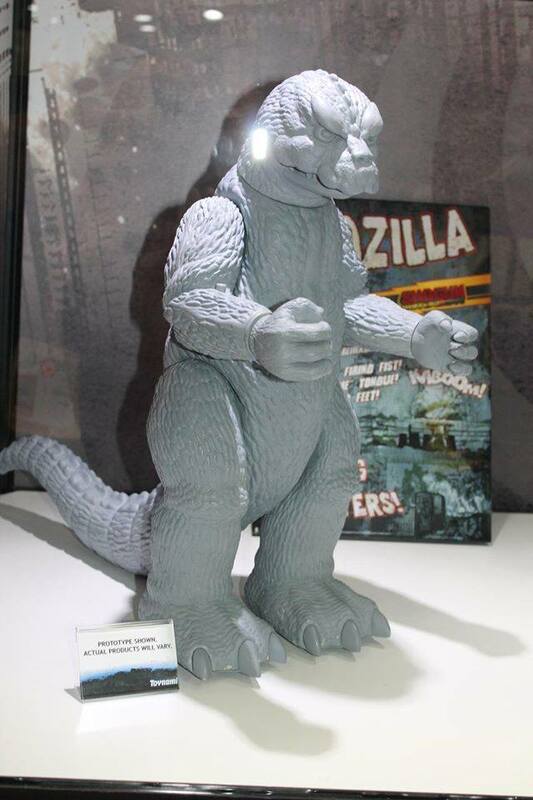 This bad boy is incredibly sculpted, incorporating the MosuGoji suit this time around. As you can see in the last photo, it will be every bit as enormous as the original (19 inches tall!) and full of just as much character. The toy has been confirmed to do everything the original was capable of – So expect a rocket fist, fire tongue, and some sweet rollers on the bottom of his feet. Release date has yet to be announced. Too cool! 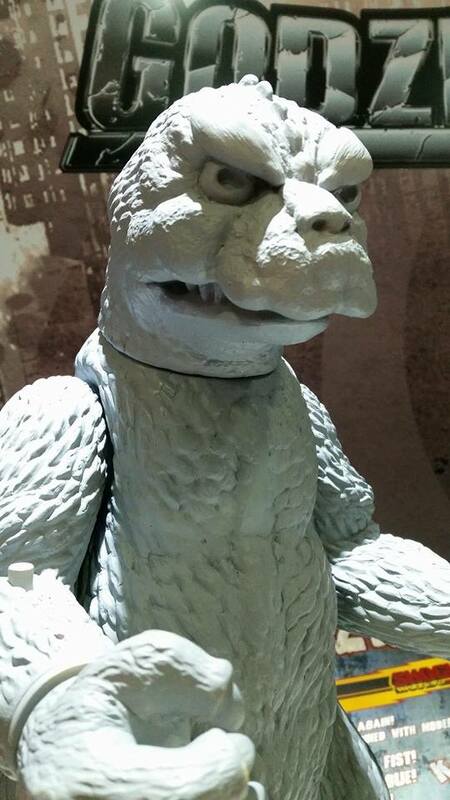 Say what you will about the SH Monsterarts line, but one thing they always knock out of the ballpark is the sculpt. 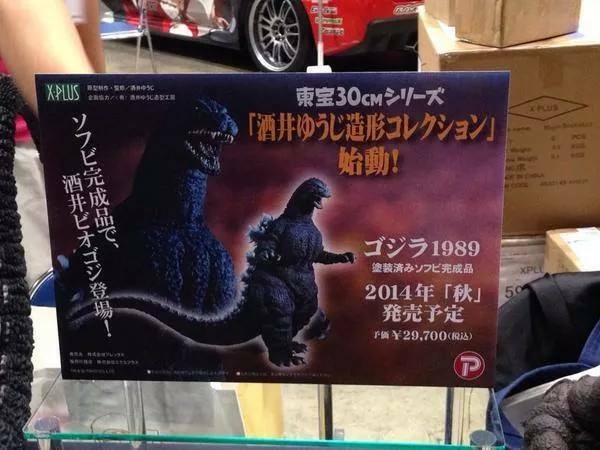 In that respect, Bandai Tamashii’s upcoming S.H. 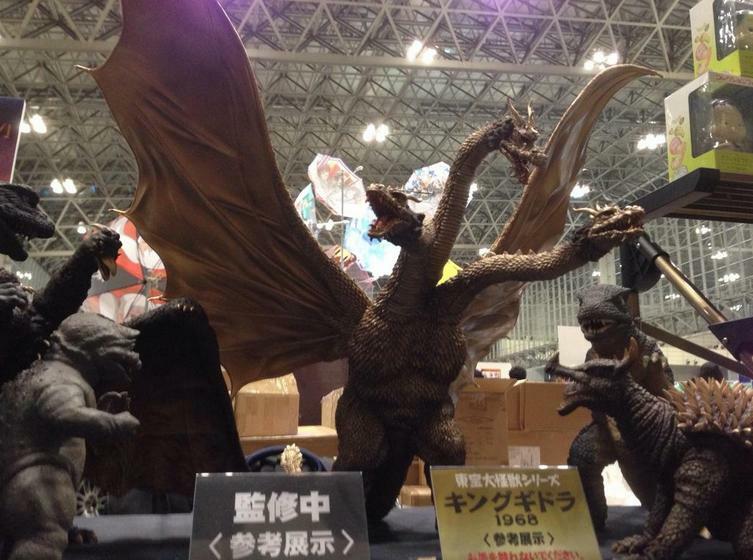 Monsterarts Mecha King Ghidorah is sure to please. Rumors are circulating that the metallic parts on this bad boy will be diecast this time around, which would be pretty nifty. 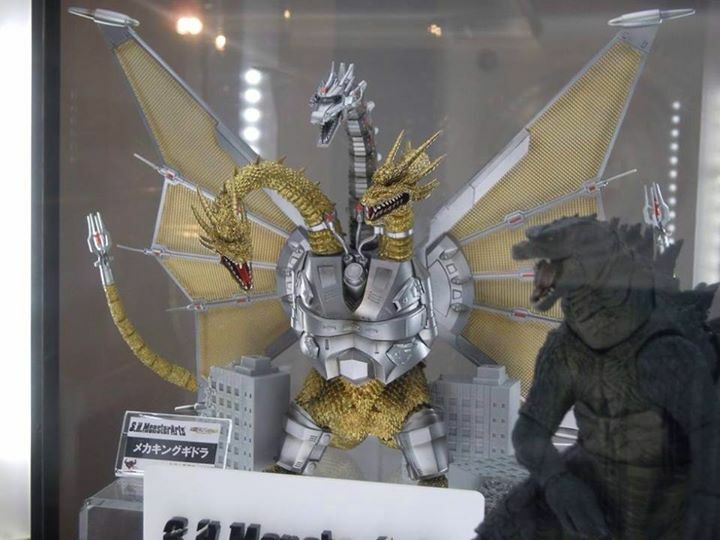 All we can hope for is that this lovely figure will be much more sturdy than its previous Ghidorah counterpart. Especially considering the price it is sure to garner. 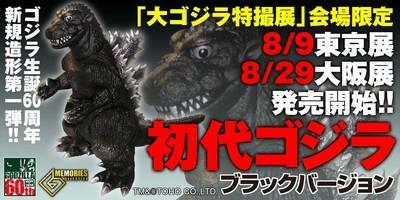 Bandai is expected to release this guy online in November of this year. 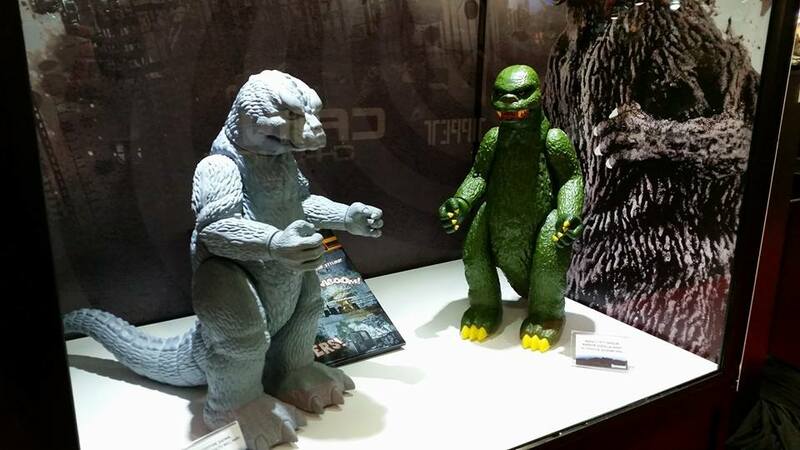 Photo courtesy of Bandai Tamashii’s Facebook feed. Wonderfest also brought us another incredible X-Plus surprise, and that is this incredible Yuji Sakai sculpted X-Plus 30cm Godzilla 1989! This sculpt was teased in one of his books about a year ago, and it looks as if we will finally be seeing its release at the end of this year. His name carries weight, as this figure currently sits at an opening sale price of 29,700 yen – which is about $300 USD. 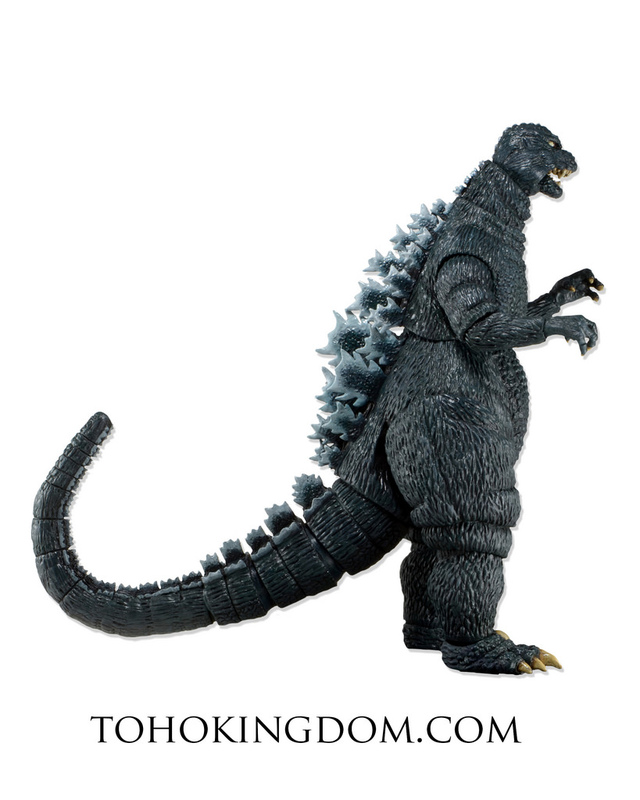 All images of NECA Godzilla figures courtesy of Toho Kingdom. 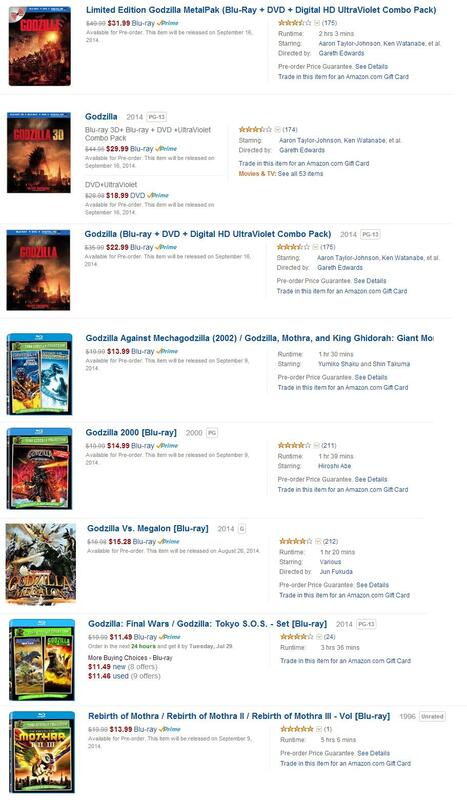 Here we have our come-to-be traditional list of Kaiju Blu Ray releases from Amazon. I’ve pasted together a preview of all the upcoming releases, including their pricing and release dates from Amazon. You’re welcome! Last but certainly not least, we have all of Diamond’s upcoming X-Plus Wave 6 & 7 releases! Our very own John Stanowski of Kaiju Addicts has posted a full lowdown on the latest from Diamond at SDCC, so be sure to check that entire article out by clicking the graphic below! Or CLICK HERE TO READ JOHN’s FULL WRITE UP ON DIAMOND’s X-PLUS RELEASES! Can you believe the news we’ve been hit with this weekend? Its been insane! I cannot think of a more exciting time to be a G-Fan. Make sure and like us on Facebook to come join in the convo and receive daily updates in your news feed! 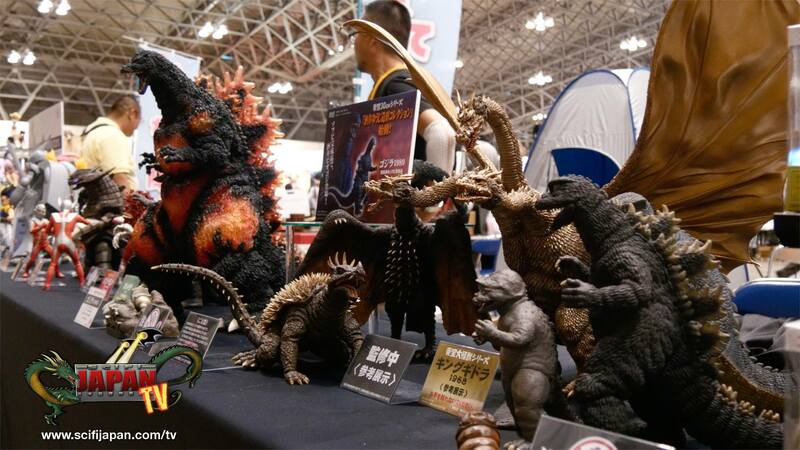 Next Post Straight From SDCC: Legendary Confirms Mothra, Rodan, and King Ghidorah for GODZILLA Sequels! 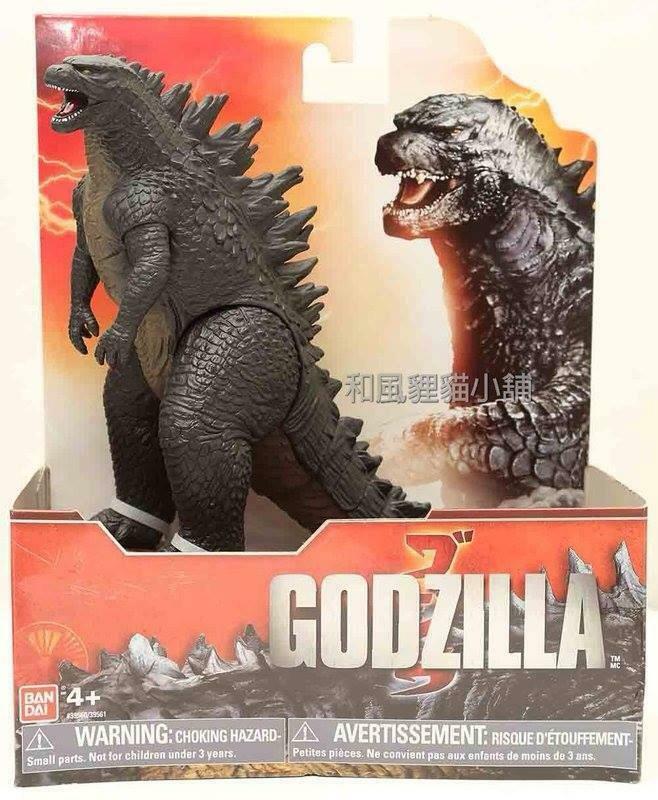 Previous Post Legendary’s GODZILLA 2 Gets an Official Release Date! SKREEONK Announces The ‘Kaiju Watcher’s Federation’!